Over the last two decades, running footwear has consistently evolved thanks to a rigorous focus on innovation. 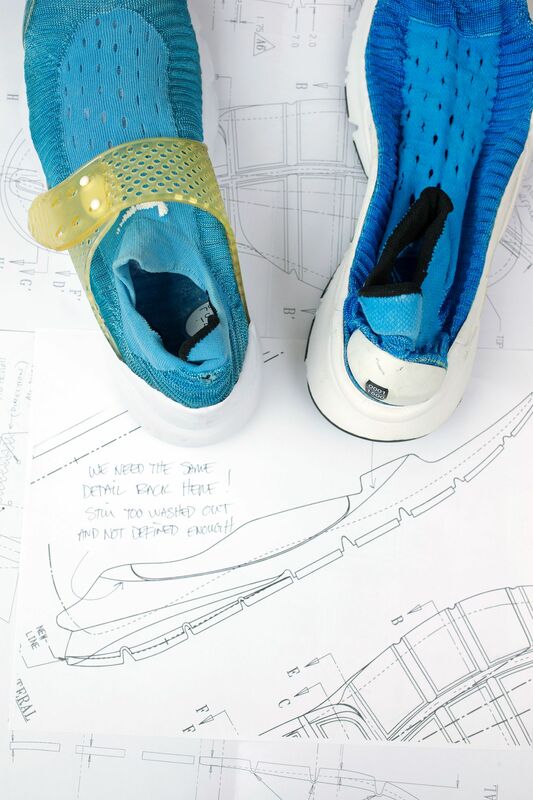 The sleek design of the 2004 Nike Sock Dart was unlike anything before it, born from the innovative thinking of those imagining what was next for Nike. During an inspirational trip to Japan, a Nike employee came across a pair of children’s socks. Not just any pair of socks, the pair had fully-formed mouse ears with not a single stitch in sight. 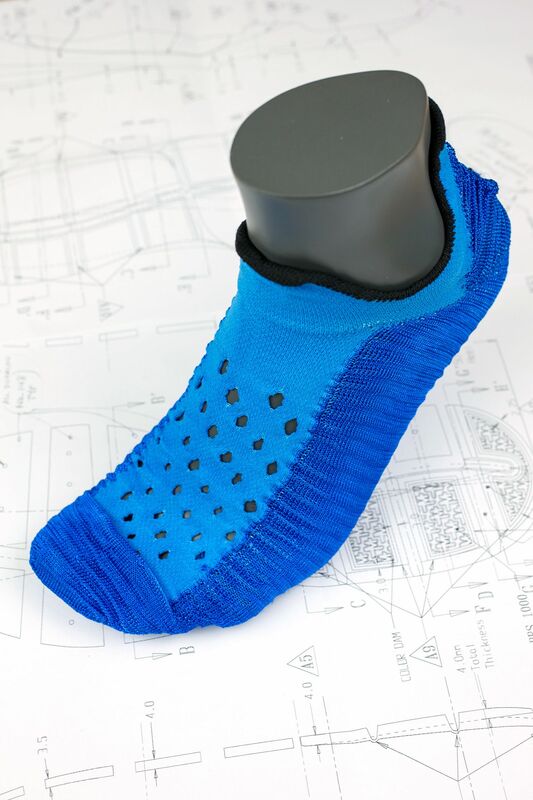 The discovery of the seemingly simple children’s socks led the Nike team to what they called the “X Machine,” a circular knit machine made by an Italian company. In order to create what the team was looking for, the programmer needed specifics, like where to add stretch, where to create static and what directions the stretch should go. This led him to doing a bit of his own legwork. “He started making strips of material to show us the stretch he can do with certain materials. He basically made a map for us to choose from. It pretty much became us saying, “Okay, we’ll take that for here, and this for there.” said Hatfield. 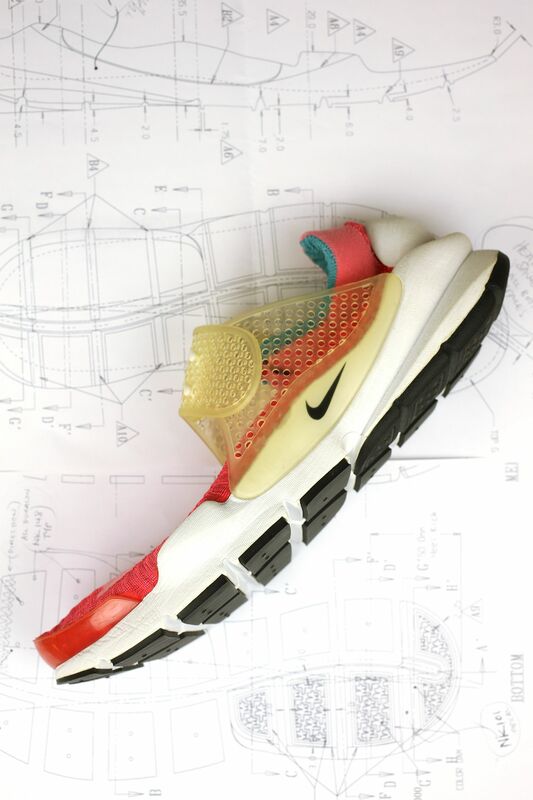 Once a foot map for the Nike Sock Dart was nailed down and produced, the team needed to create a structure within the sock. Filling the pockets in the collar created by the machine, 3D collar foam was developed to maintain form in the upper. 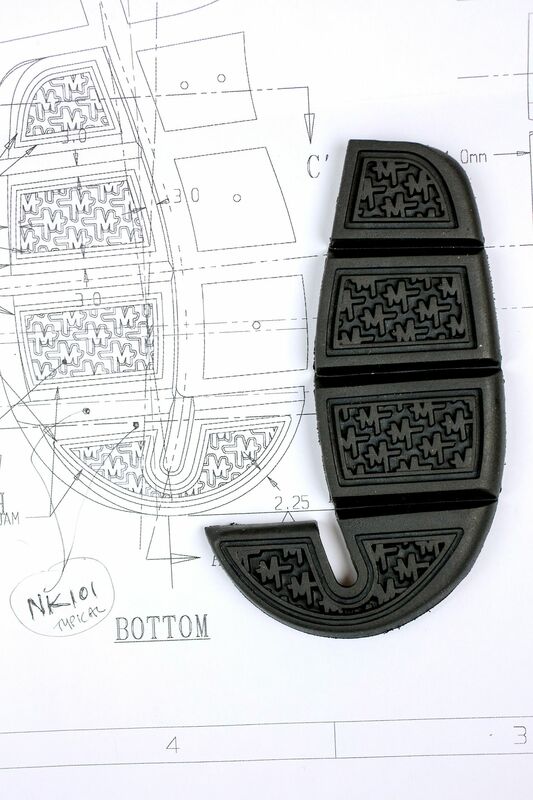 “I came up with the idea of creating a 3D mold for the collar foam where the top radius and bottom radius were perfect, the top-line was shaped and it actually grabbed underneath your ankle and supported your ankle,” says developer John Hurd. 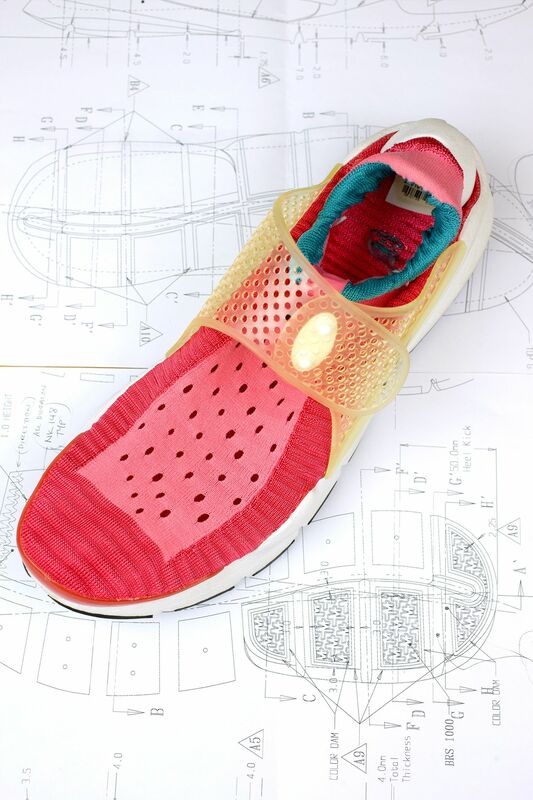 The pocket was filled with foam thanks to a tool specifically developed by the innovation team and inserted via an opening in the back of the pattern, which was then covered by the signature heel piece of the Nike Sock Dart. With this structure in place, the Dimensional Support System quickly came to life. A unique midfoot strap was then added, making the shoe far more runnable thanks to additional midfoot support. “I had worked a lot with different polymers, so we actually picked a TPU that had a lot of stretch so it would be a dynamic midfoot. Then, I came up with the idea of the mushroom heads, so you just pull the strap over and snap it,” Hurd explained. Once a complete design was in place, it came time to refine the details. Enter in designer Mark Smith, who was called upon to ensure the Nike Sock Dart stayed minimal and worked as a complete, holistic design. “It was just an exercise in refinement. I kept saying the closer we can get to this very simple, clean shape, the better,” Smith revealed. 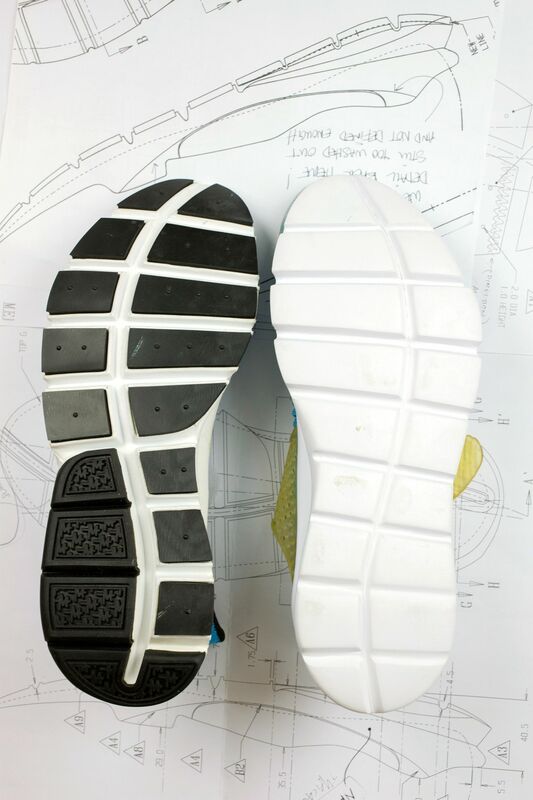 Smith’s eye for detail helped finalize the construction of the heel, which features a heavily sculpted finish that acts as a launch lever for the foot when striking the ground. Down below, Smith’s graphic design roots helped etch in HTM’s subtle influence. 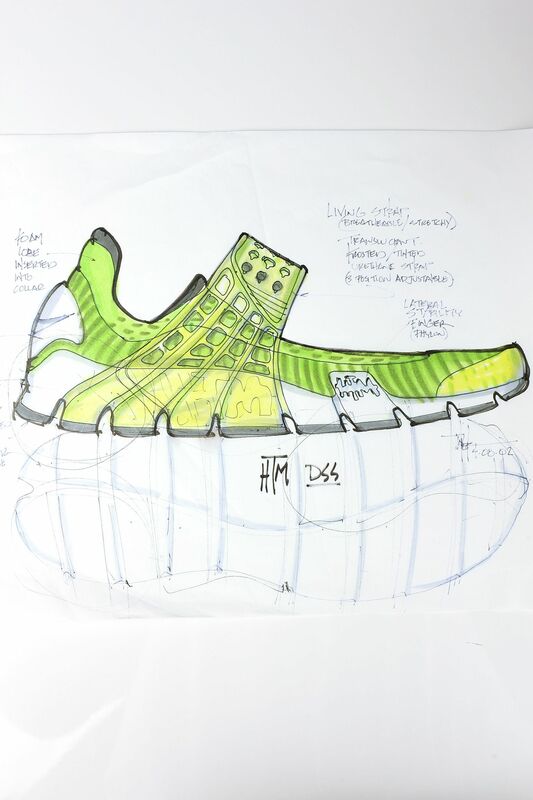 “As far as the outsole is concerned, I created the HTM logo as one whole logo and then we decided to pull it apart. So, some of them will have H, some of them will have T and others will have M. We thought that would be a fun way to uniquely change out some of the details here and there,” Smith explained as he reminisced on the outsole. When it came to colorways, the Nike Sock Dart took inspiration from the tree dart frog for it's beneficial color palette. “We were looking at the bold color of the tree dart frog and it was a lot about being dangerous, but also being in nature. The idea was to use color as a weapon. It also became part of why we ended up calling it the Nike Sock Dart,” according to Smith. In the end, the Nike Sock Dart as a whole was just the tip of the iceberg when it came to knit footwear. 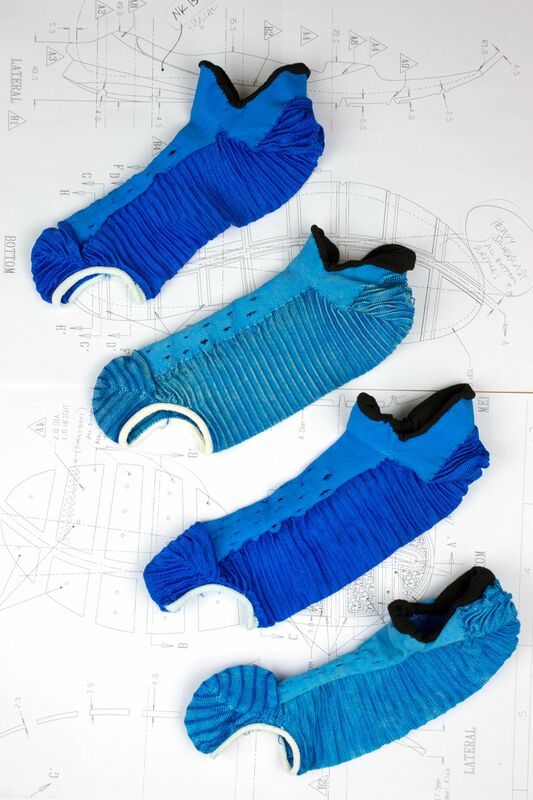 What started as an idea based on a simple children’s sock led to a whole new world of Nike Flyknit footwear for generations of athletes to come.